On 10 of Dhû al-Hijja, every year, I take pride in a newfound identity, that of a butcher. I slaughter the sacrificial animal; take part in the skinning procedure, I watch while the butcher cuts the chucks of beef into smaller pieces. This has been the ritualistic thing-to-do every Eid-ul-Adha for nearly the last two decades. When we were younger, there was a regular butcher who managed the meat during Eid. I can't recall his name but everyone called him “Jahangir er baap.” And so did we. He was an elderly man, to be seen only during Qurbani along with his troupe. Janhangir er baap however, was not a professional butcher but knew the knick and knacks of the trade by heart. After his demise many years ago, Qurbani seemed incomplete without his toothless, bearded presence. But his aides soon took over, not professionals of the trade themselves, but experience taught them all that there was to know. People, those days could buy large cows for a mere 20-25 thousand takas. Professional butchers would, even then, charge 10 percent of the purchase price for their services. Jahangir er baap however was satisfied with much less. Many years later, Babul Mama - the former assistant of Jahangir's father - left for Saudi Arabia and we were at a loss. For the first time in our lives, we were at the mercy of “butchers”, who like myself, take the vocation once a year. Mostly rickshaw pullers for the rest of the year, they join forces to earn some extra cash on Eid. And they do good business. Their charges are of course, 10 percent of the price of the cow. But that is negotiable. Their performance however is far from satisfactory. Messy! They don't know what it takes to be a butcher, let alone know the finer details of the trade. Professional butchers claim and quite rightfully so, that these amateur butchers spoil the meat. They don't know how to separate the flesh into different parts, each of which, they say has a distinct taste and can be used for the preparation of specific dishes. Professional butchers charge 10-20 percent of the cow's price and if you can arrange three or four cows for them, the price can be haggled down to something much less. But it's all worth it. They can bring down an entire cow within 90 minutes. Hope this Eid proves to be one of pleasantly diminished hassles - be that by slipping into a butcher's role for a day yourself, or hiring a professional who will be worth his while. The hide and seek business! 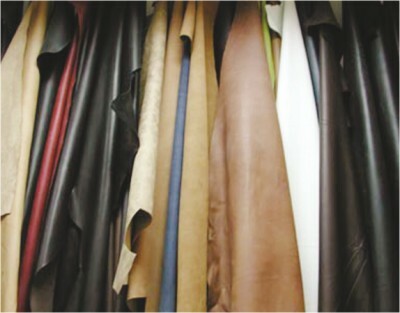 The leather industry is a very significant and profitable industry in our country without doubt. Securing approximately six per cent of our total export earnings, it is the fourth largest foreign exchange earner of the country. And Eid-ul-Adha of course, is a vital time for the leather industry. As numerous cattle will be sacrificed, people will sell the hides of their animals for charity. Take a sneak peak at the 'hide & seek' business that takes place on the day of Eid! Your animal's skin travels through many hands. First, the young boys go door-to-door to buy them from you. Then, they sell it to middlemen who resell it to the dealers. The dealers finally sell it to the tannery businesses where they process the skin and export most of it. Thus, it is no doubt that Qurbani Eid is such a vital event for the tannery industry. And the process starts with the general people. Some of you will directly give the skin to charity, whilst others will convert it to cash. Thus, on Eid, we see a lot of Madrassa students ringing neighbourhood doorbelsl for the hides. A lot of young boys also involve themselves in this business. Azad, a twenty-year-old boy coming from a lower middle income family is very enthusiastic about Qurbani Eid. “Last year, five of my friends got together and collected about twenty pieces of animal skin. It's a very attractive way to make quite a lot of money in a short time.” And that's why so many young boys like Azad enter into the business. But if things run fairly, this whole arrangement is a good deal for us. Imagine how much of a hurdle it would be if these people did not knock on our doors and we had to go all the way to a dealer to sell the hide! The bargaining process is quite interesting to watch too! Unlike a lot of other bargains, in this negotiation a lot of 'emotional blackmailing' takes place. The buyer, for example, talks of charity and asks for a better price; afterall you have a big heart and you won't mind foregoing a couple of hundred taka for a good cause once a year. And these groups of young boys are really shrewd. And therefore you need to stick to your point. Be tough, and don't lower the price easily. Handle the skin carefully and take notice that no damage occurs during the whole process. If the person who's buying from you says that the quality of your animal's skin is not good, know he's lying! He doesn't know the first thing about the quality of skin and hide and the grade of leather it will produce. Yes, if he is experienced, he may be able to have a 'feel' about the quality, but that is never fullproof and sufficient. Therefore, be persistent and bargain. You are giving it to charity; make sure you maximise the amount! So what will be the 'amount' this year? Well, traders sense business will be relatively rough this year. “We think the number of animals slaughtered will be quite low due to the anthrax scare. Although there is nothing to fear now, still many people are not aware of that. We will try to drive the price up and get the most out of what little we can trade” says a trader. Well, let's keep our fingers crossed!